We’ve got stories, and we’re sharing them here in the #tbexjlm Link Round Up. Because we’e explored Jerusalem, the holiest of lands, where we walked in the footsteps of deity. We reveled in The Shuk by day, and a Spectacular like no other by night. We dined on hummus, falafel and shaksuka. We watched the sunrise over ancient city walls from the seat of a bicycle, reveled the the Israeli culture, and found ourselves deeply mystified by its complexity. And we discovered Jerusalem is saturated in layers that when peeled away, provide a boundless supply of stories for the telling. 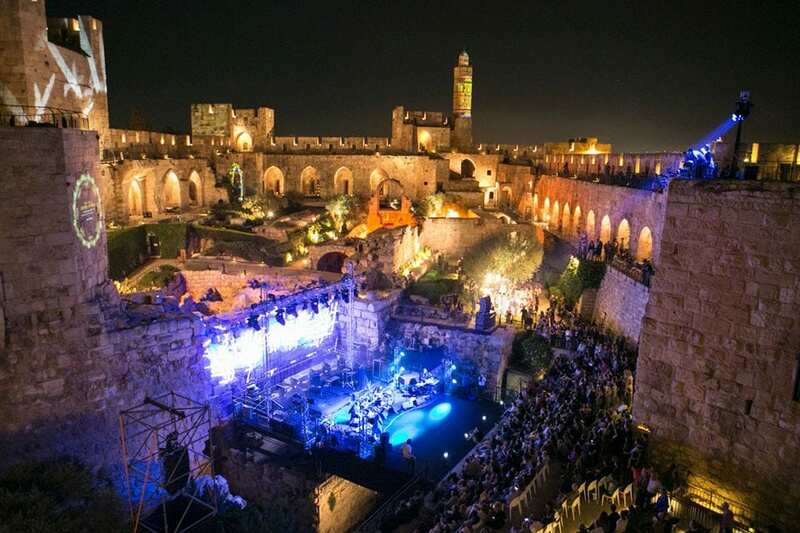 We also have the results of the TBEX Jerusalem Case Study commissioned by the Jerusalem Convention & Visitors Bureau and conducted by Incon Global Partnership. 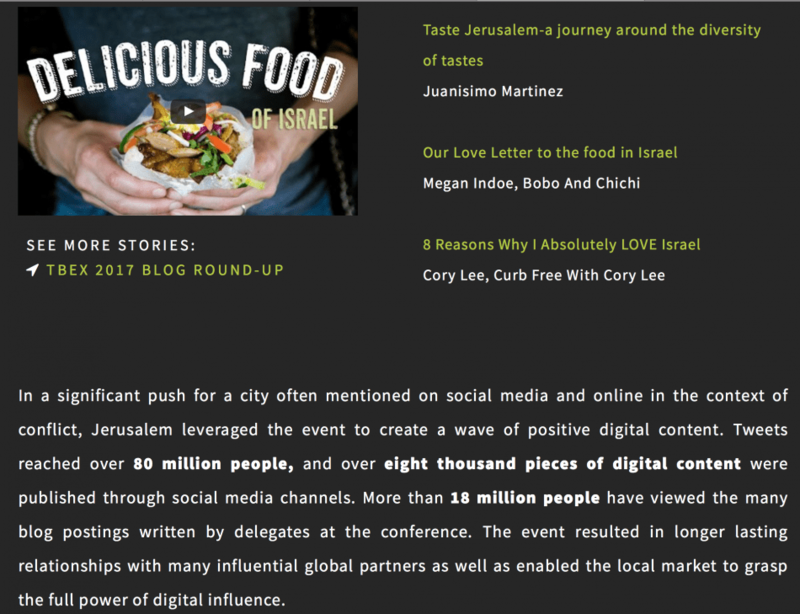 The 400+ bloggers and influencers who attended #tbexjlm reached MILLIONS of people, inspired the next generation of travelers, and propelled Jerusalem to new levels of tourism success! We want to hear your story about TBEX International 2017. Whether it’s a story about the conference, the breakout sessions, a party, or what you learned that is changing how you work and grow. Whether it’s a story about someone you met, a business deal you arranged, or an idea you have for a new project. Whether it’s an experience from a pre-bex activity, a post-bex FAM trip, or whether you connected something about Jerusalem to the ongoing narrative of your personal travels. Please share the content you created for #tbexjlm as a result of your experiences with TBEX International 2017. Only submit stories related to your attendance at TBEX, participation in the events, and your time spent exploring Jerusalem. Do not submit previously published work. 86. Visiter Jérusalem depuis Tel-Aviv en une journée. Quoi voir en priorité? Visit the Conference tab on our TBEX International 2017 page for a list of the speakers, parties and conference schedule from #tbexjlm, our first-ever International travel blogger’s conference! Where am I? Guess this famous city! My fantastic food experience throughout Israel, with a special highlight to the Northern Israel Culinary and Scenery FAM tour. We had a blast at our first TBEX and are looking forward to our second one: TBEX Europe in Killarney later this year. Thanks a lot! What Happens at a Travel Blogger’s Conference?